201 Area Code-Area Code Lookup | Your Personal Area Code Directory! Background Information: The 201 area code was the first area code assigned in the United States. It is now one of nine New Jersey area codes. 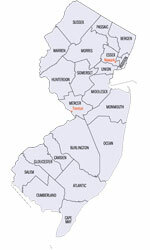 Other area codes in New Jersey include 551, 609, 732, 848, 856, 862, 908 and 973. Need to Reverse Lookup a 201 area code phone number? Click Here for a Powerful Reverse Search Tool.